The tech company Microsoft is believed to indefinitely delay or cancel their Surface-branded Telephony Device (STD). However, the latest report uncovers some information that the Andromeda project is still alive with a lot of details about the highly anticipated device Surface Phone. 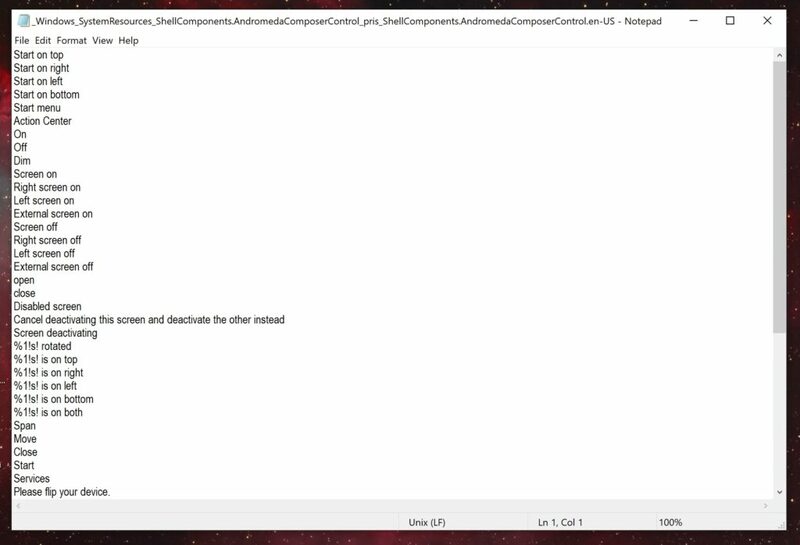 According to MsPowerUser, the details come from Andromeda-specific language packs that are publicly available in the Store. This suggests that the company is going to test their devices with the built-in operating system all over the world. In the language pack, the Surface Phone will have a very important aspect of the STD like it will have the ability to automatically record your phone calls. Its various modes will be two apposable screens and an external screen. You can simply double tap the screen to switch the external screen off. In terms of specification, the device will support a Windows Hello iris scanner and fingerprint reader. You can even draw a shape to take a screenshot. All of Microsoft’s UWP apps will run on this device with some Andromeda-specific apps. The latest reports about the Surface Phone pointed out that it will be a pocketable dual-screen device. It can be used as a small tablet when it opens up. There is no need for a decent keyboard because the device is small enough to thumb type with a built-in touchscreen keyboard. This device could be a better version of the pint-sized Surface Mini tablet, which was canceled weeks before its announcement. This might be because it is not ready yet and its size is too small to handle some phone duties like a large tablet. As of now, there is still no clear information from the company whether this device will reach the market or not. However, the active development of the operating system gives a strong chance that the STD may be nearer than we think. What do you think about the Microsoft Surface Phone to be unveiled? Share your thoughts and reactions by writing in the comment section below.